In 2017 Black Cube cookware was updated to be stainless steel along the inside rim of the pan. This area of the cooking surface was nonstick before the update. The cookware on this page is pre-update cookware, so there’s a nonstick rim along the inside edge, as shown in the photos above. 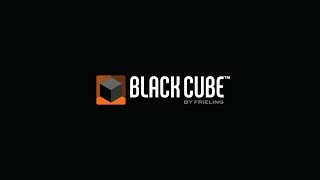 A world’s first: Black Cube™ combines all the benefits of stainless steel and nonstick cookware. Black Cube™ is built to last with its 3-ply construction and the high quality PFOA free nonstick layer. All pans work on any cooktop and are oven safe up to 500° F. For ultimate convenience they are also dishwasher safe. A raised stainless steel pattern over a recessed layer of nonstick coating allows for browning on stainless steel without sticking and protects the nonstick coating when using metal utensils.